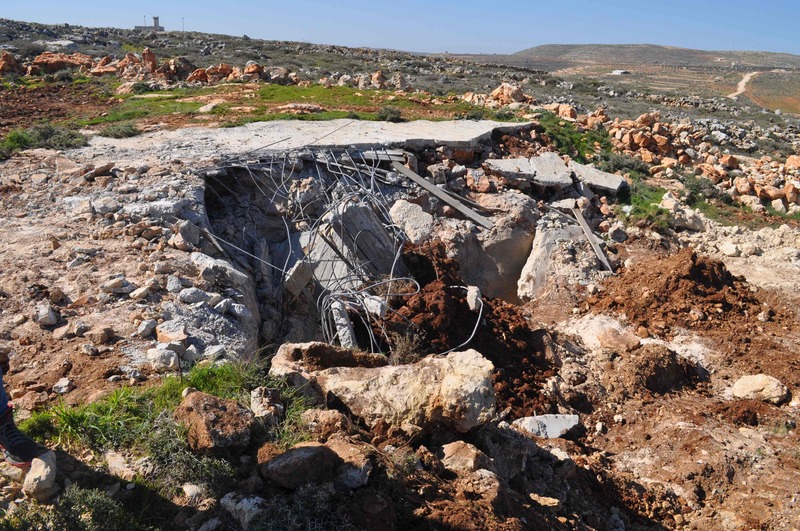 On January 23, the residents of Qusra organised an action to reclaim village land, which settlers had attempted to confiscate. Four volunteers from IWPS attended, at the request of the village, who asked for an international presence due to settler attacks the previous week, which left six villagers injured. Qusra, a village of 4,000 people, is situated near the settlement of Migalim. There have been incidents of settlement harassment in the past but the present problem comes from an evacuated outpost (1), locally named Yesh Dam. The army dismantled some of the outpost structures on January 12th and according to Ma’an Agency report ‘armed settlers entered the village burning cars, throwing stones and shooting at houses’ (2) on January 13th. One of the village leaders informed IWPS volunteers that village farmers were prevented from cultivating their land by settlers on January 13. Initially 8–10 armed settlers had been present, but their numbers swelled to more than 100. 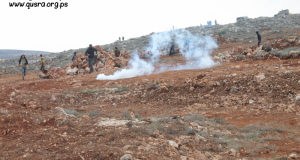 The Israeli military was present but did nothing to prevent the settlers from attack the Palestinian villagers. When the Israeli Border Police arrived, they attacked farmers resulting in the injury of six people, one quite badly. ‘’They attacked anyone’ he said, “old people, women and children”. IWPS volunteers also met with shepherds from the village, who showed the team photos of two of their sheep which had been slaughtered by Israeli settlers two weeks earlier. The action on January 23 was to plough the village land in front of Yesh Dam and plant 650 olive trees. It was attended by about 200 people including the media, the Mayor of Nablus and Fatah representatives. The army watched from the hill and the edge of the fields and but did not interfere with the activities. Village leaders told IWPS volunteers that the action was successful because of the presence of internationals, the media and official representatives. 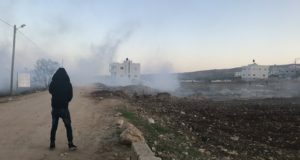 Village leaders were concerned that they may not be able to access the planted trees in the coming days due to army and settlers presence and that the trees may be uprooted by settlers. However, IWPS contacted village leaders one week after the planting of the trees and were informed that access had been available and that the trees remained intact.